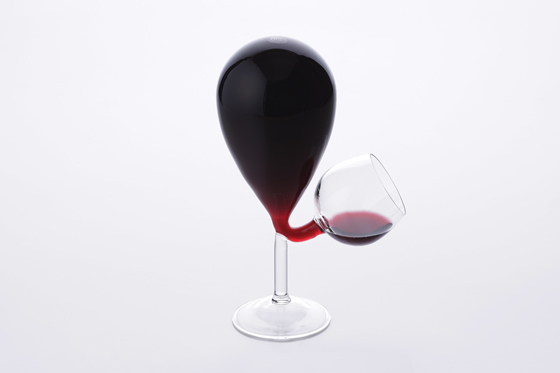 A device that combines a bulb shaped vessel with a wine glass. As the amount in the drinking glass decreases, a controlled amount is poured from the vessel refilling the glass. The liquid never overflows due to the air and water pressure.